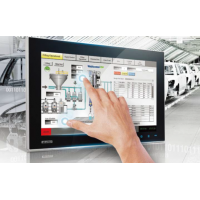 The DIN-rail and C1D2 approved automation computer is an IoT gateway platform that converts communication protocols, I/O control and data storage in various industrial fields. A fanless embedded computer that is a box PC served as an automation control and pc controller that has a wide range of CPU selection and multiple mounting method. 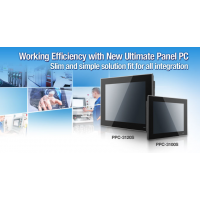 The UNO-3000 series are wallmount PC's that support PCI or PCIe expansion. With wide range computing power and PCI expansion capability, this series allows users to add any 3rd part I/O. The fanless, high computing power rackmount computers series , containing isolated serial communication and multiple Ethernet ports, provides users with more reliability for various applications. 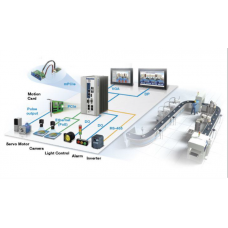 This rackmount computer enhances the effectiveness of power transmissions and substation automation. iDoor utilizing mini PCIe format allows customers flexibility for I/O expansion. The various I/O expansion modules include Fieldbus protocol, smart sensor, communication and memory. UNO accessories are geared to fulfill various applications, such as different mounting kits and expansion kits. Mounting kits include DIN-rail, wall mount and panel mounting.